americanequipage.com now carries VooDoo Tactical's Universal Equipment Bags. This military accessory is a great piece of soldier gear. 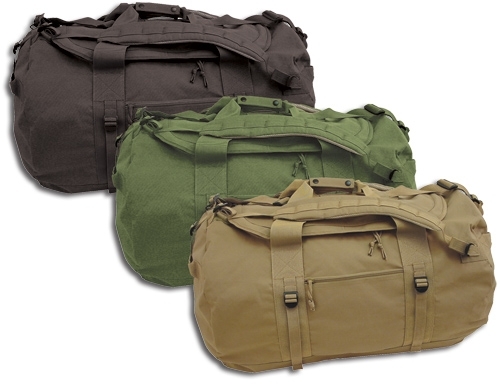 This big bag is large enough to carry your weapons and all of your equipment in one bag. - Top entry for easy access. - 2 compression straps on the ends, and also 4 on the sides. - Padded shoulder straps and handles on either end. - Measures 27"L x 16"W x 16"T.